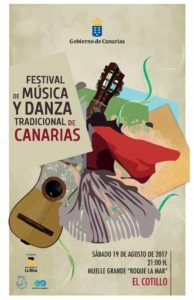 The festival will include seven folk groups, one from each of the Canary Islands.Each will appear with their own dance groups. The festival starts at 9pm on Saturday,19th August on the quay in the old harbour. 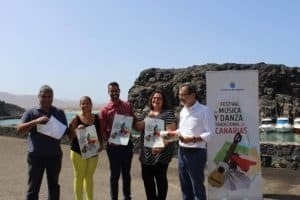 It will be the first time the Canarian festival of music and traditional dance has taken place on the island. It should be a nice change from the loud modern “music” played until 4-5am most mornings. 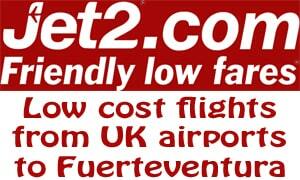 I believe this is more like what was originally intending in the fiesta before the teenagers took over.